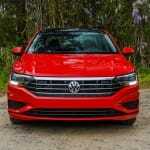 The Volkswagen brand has relied on their Golf and Jetta compacts to be their breadwinners globally for many years now. 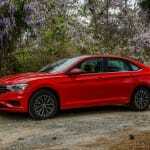 RALEIGH, NORTH CAROLINA – Sold in a multitude of variants including some under the Skoda and Seat names, the Jetta four-door sedan is immensely popular in many different markets. The North American model had been getting long in the tooth for a while, though still a very competent little sedan. 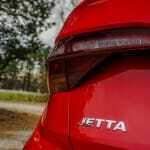 Canada has sold over 600,000 Jettas since 1980, and nearly 200,000 are still on the road. We flew to Raleigh, North Carolina to sample their fully redesigned new example, the 2019 Volkswagen Jetta. 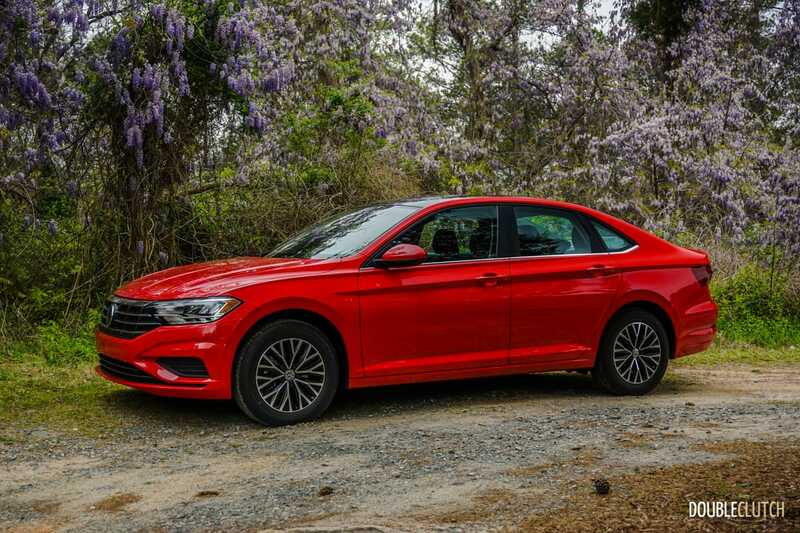 From a powertrain standpoint, things are evolutionary rather than revolutionary, as the car carries on with its 1.4L TSI turbocharged inline four-cylinder as the sole powertrain option. 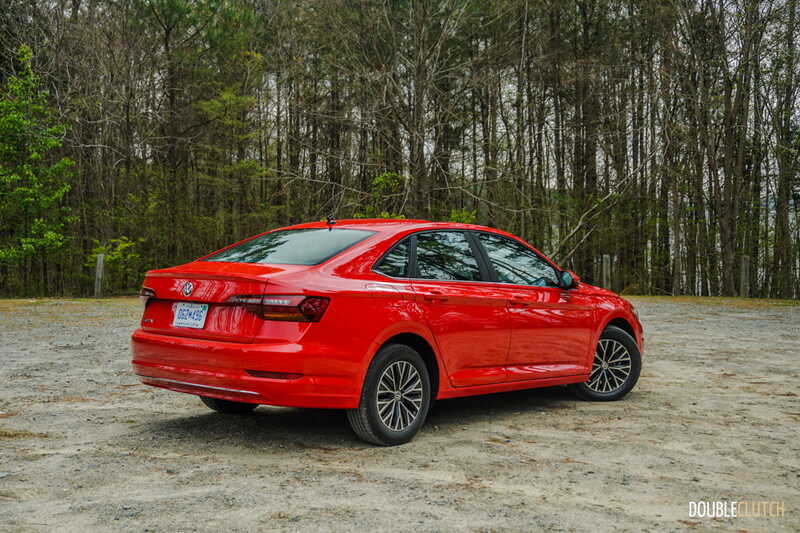 It pushes 147 horsepower and 184 lb-ft. of torque, mostly unchanged from the last Jetta (reviewed here). 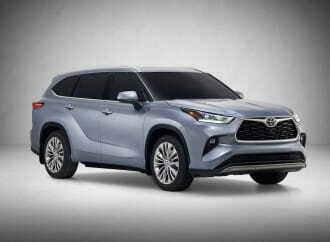 The developments here are two new transmissions – a six-speed manual as standard equipment and an optional eight-speed automatic. 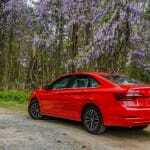 It’s worth noting that most other rivals either get a CVT or a six-speed auto in this segment. 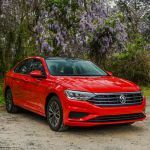 The Jetta’s biggest advantage right now is that it’s based on the MQB platform that underpins the Golf, along with other cars like Volkswagen’s own Atlas (reviewed here) and the Audi A3. This is not only a very versatile platform but also an excellent chassis. 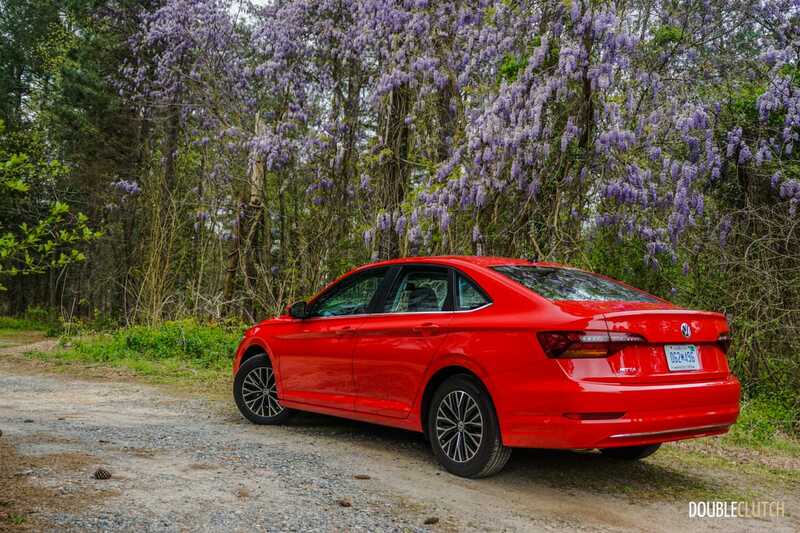 Ride quality is absolutely flawless, and the Jetta feels very German in the way it feels on the road. 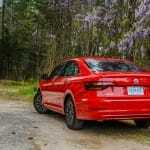 Potholes and road imperfections are subtly absorbed, and the car sprints down the road with a buttoned-down feel. 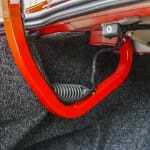 A sport suspension available on the Highline model lowers the car by 15mm. 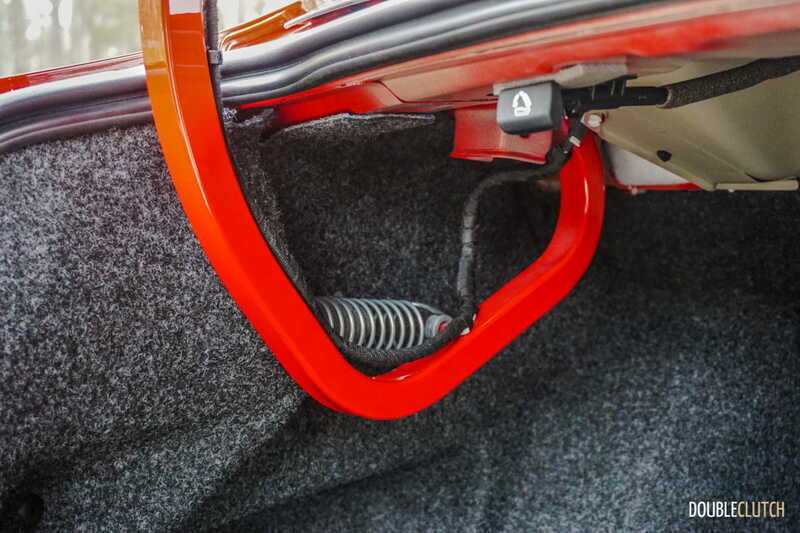 Steering feel is electrically assisted, but the weight can be adjusted via the driver mode selection system, and at the end of the day, feels quite good. 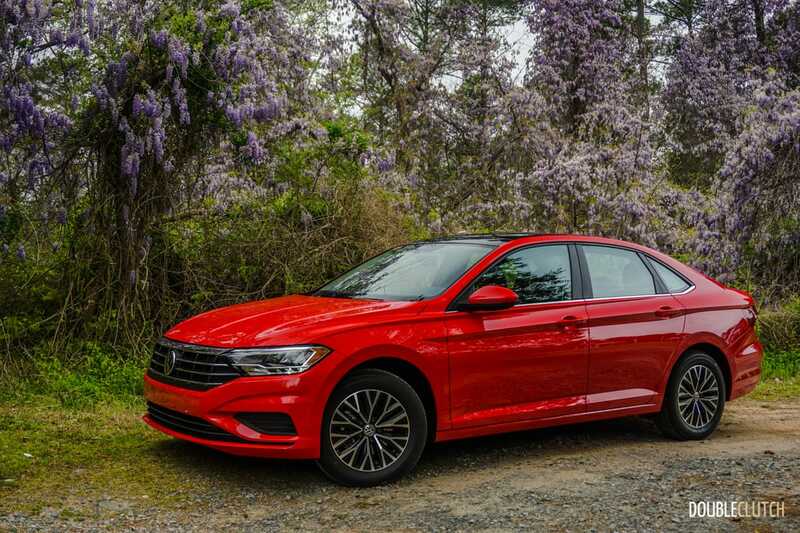 As in the previous Jetta, the steering has near-perfect on-center feel, making it one of the best compact sedans to drive on longer highway trips. Where rivals like the 2.0L Mazda3 (reviewed here) are loud and require steering overcorrection, the Jetta feels very similar to its larger Passat sibling in terms of road manners. 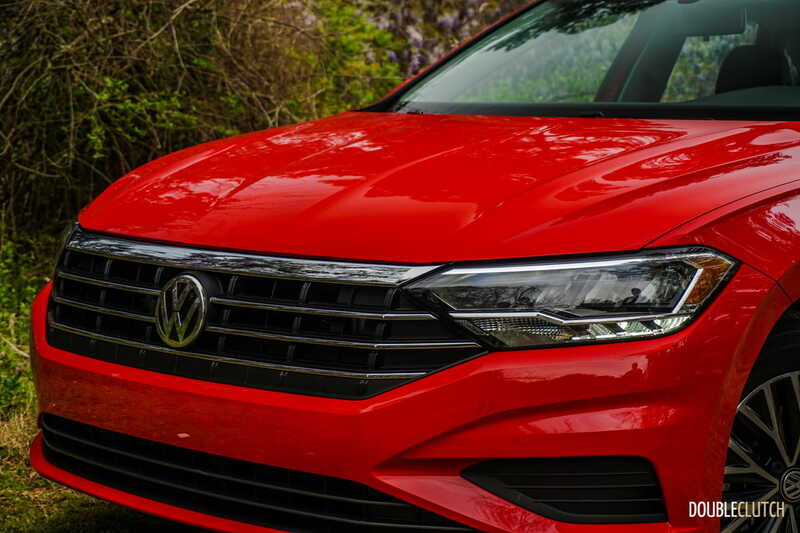 A 0.27 drag coefficient helps aerodynamics and ultimately efficiency, but that’s not all Volkswagen has done. 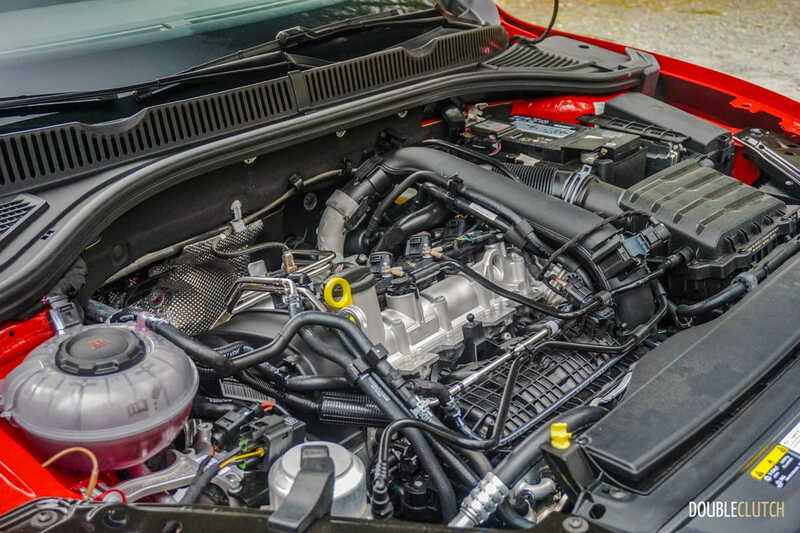 An idle start/stop system is standard on automatic transmission models, which maximize the potential for good fuel mileage. 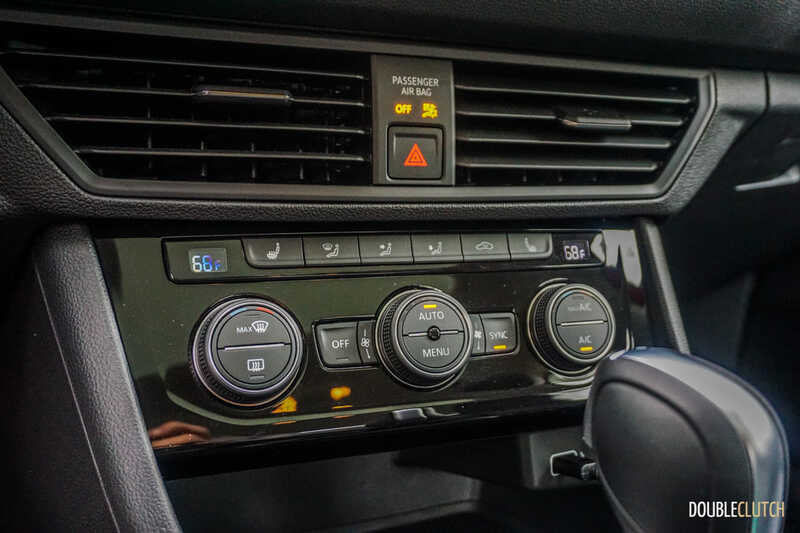 The driver mode can adjust the transmission shift points, throttle map, adaptive cruise control, and even the climate control system to operate in its most economical state. 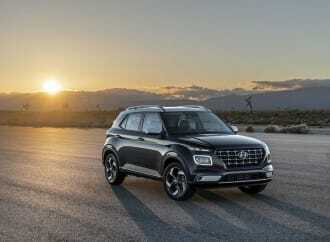 This all contributes to suggested fuel ratings right in the 7L/100km range combined. 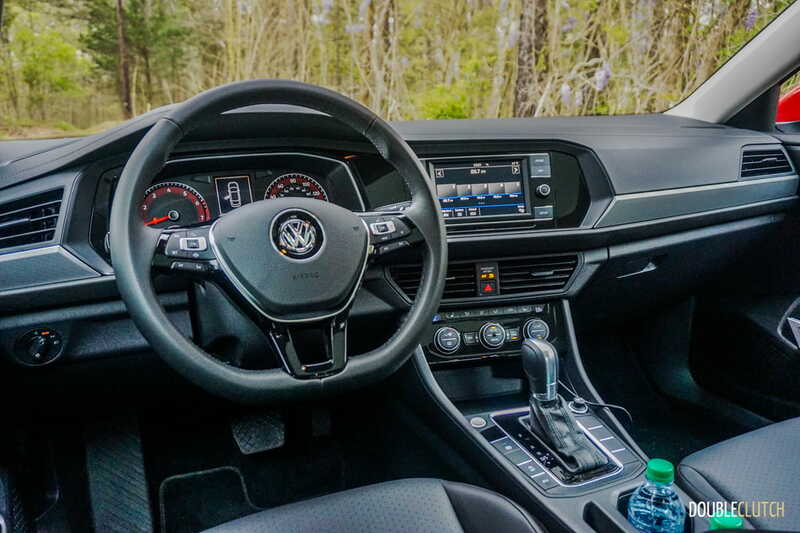 The interior of the Jetta will be very familiar to those who have spent any time in the Golf (reviewed here), which just happens to be one of the best compact cockpits to spend time in. 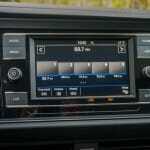 Higher trim models get a 10.25” Volkswagen Digital Cockpit, very similar to Audi’s Virtual Cockpit setup, a customizable gauge cluster. 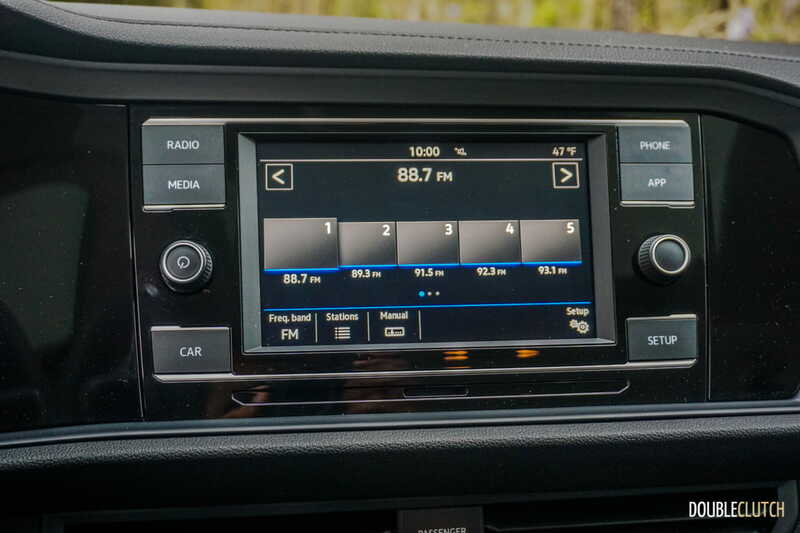 An 8” touchscreen handles infotainment through Volkswagen’s App-Connect system, also capable of handling Apple CarPlay and Android Auto. 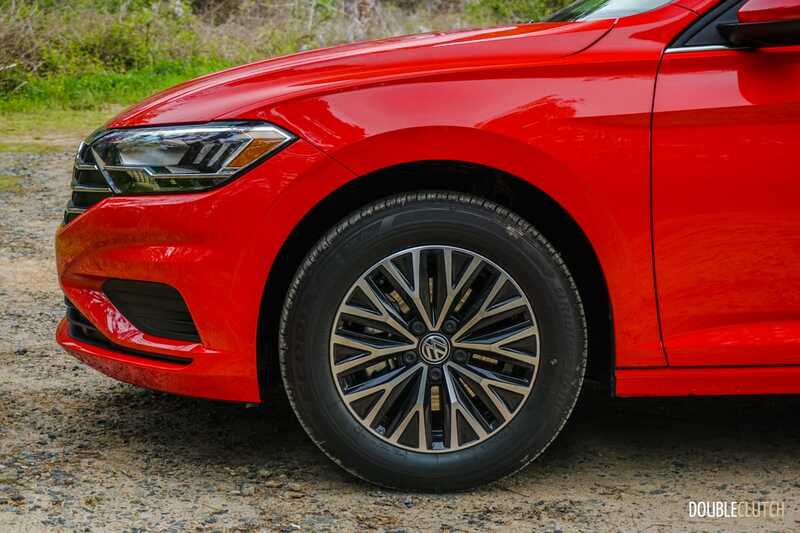 Lastly, the Jetta is the first Volkswagen in North America to replace their Fender premium audio system with BeatsAudio, which is a little bit bass-heavy but does sound pretty good. 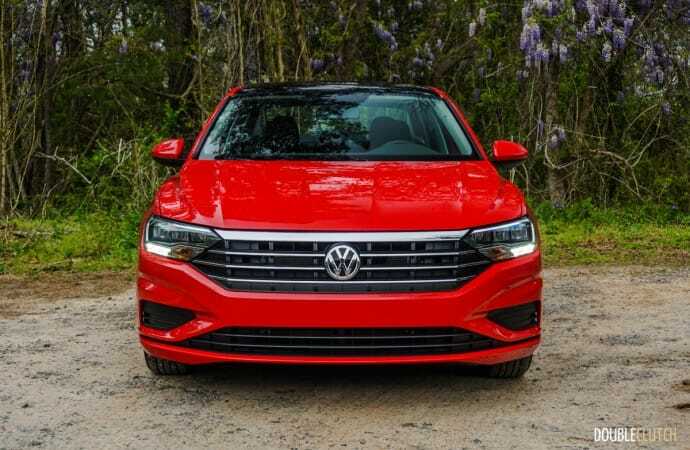 Interior quality overall is very decent, and despite some critics’ concern about the Jetta being built in Mexico, there appears to be no evidence of cost cutting. 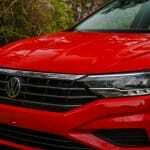 Materials also feel great, though there are some plastics evident as expected for a vehicle built to an affordable price point. 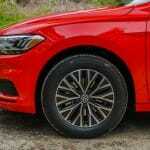 Fit and finish is great, and Volkswagen continues to be one of the leaders in this segment in this regard. The front seats are very comfortable are heated with available ventilation, and rear seat legroom is more than adequate for a compact sedan. 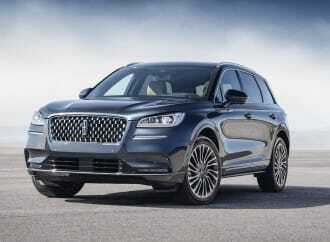 A heated steering wheel and heated rear seats will be available on Canadian models later this year. Active safety has become a very required set of features on every segment of vehicle sold in Canada. 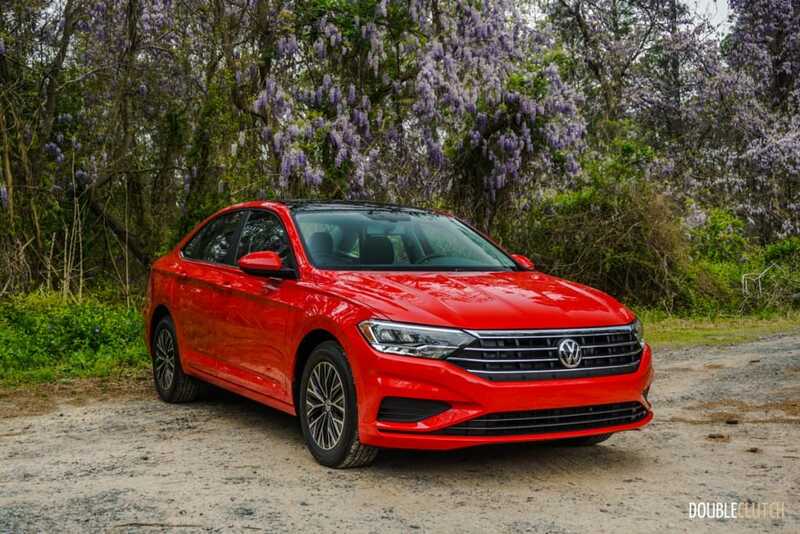 As such, the Jetta comes standard with a rear-view camera and has available features such as forward collision warning, rear cross traffic alert, adaptive cruise control (with follow-to-stop feature), automatic high beam control, and lane keep assist. Adding to the list of tech in this car is a new “Rail-2-Rail” sunroof, with vista panes. 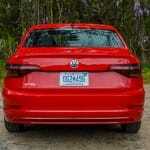 LED headlights and taillights are also standard across the trim line. The 2019 Jetta starts at the Comfortline trim level, and standard features are 16” alloy wheels, App-Connect, Bluetooth, LED headlights, a rear view camera, hill start assist, heated seats, and more. The Highline adds dual-zone automatic climate control, blind spot detection, leatherette seats, and a sunroof. Stepping up to the top-trim Execline adds 17” wheels, BeatsAudio, a Cross Differential System, remote start, ventilated seats, and the Volkswagen Digital Cockpit. Adding all of the active safety is a Driver Assistance Package on Highline and Execline models. Pricing for the Comfortline is $20,995 for the manual, $22,395 for the automatic. 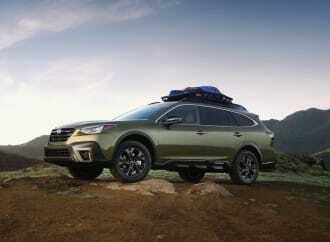 The Highline is $24,095 for the manual and $25,495 for the automatic. 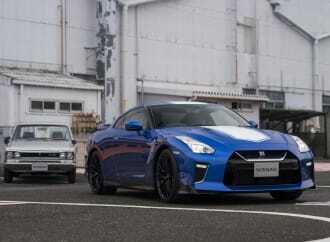 This model can be equipped with a $1,700 R-Line package as well. 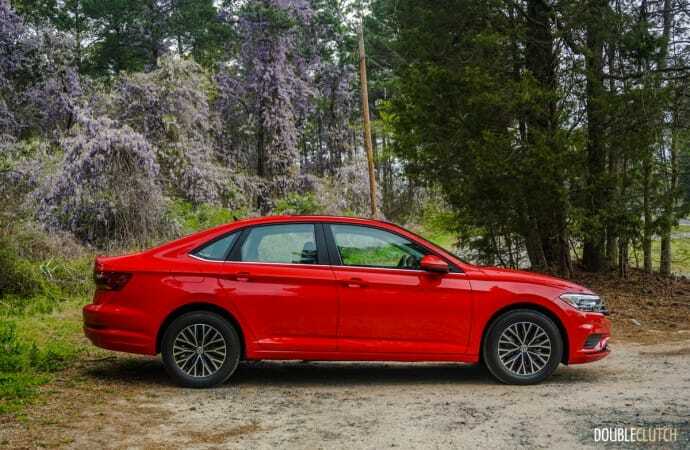 The Execline sits at $27,695 for the manual and $29,095 for the automatic, with an optional Driver Assistance Package. 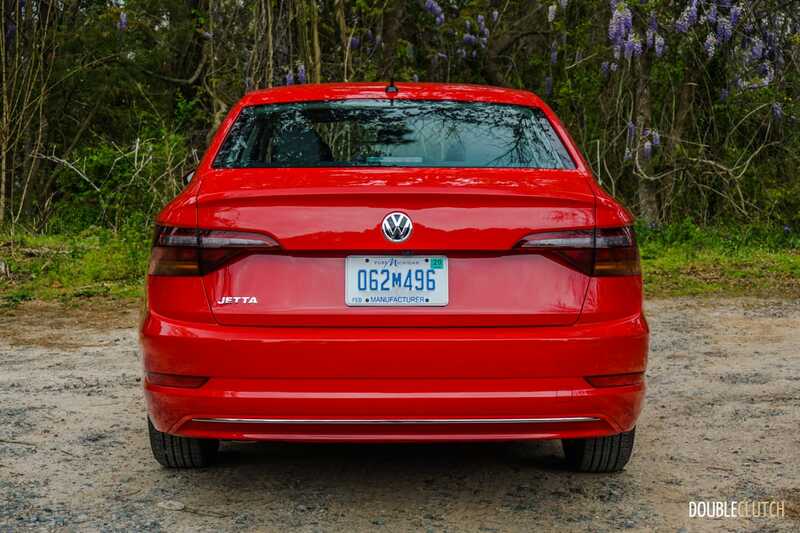 Canadian warranty specifications for the Jetta are a 4-year/80,000km new vehicle limited warranty and roadside assistance. The powertrain is covered for a 5-year/100,000km period, and a 7-year/unlimited kilometer corrosion warranty. What about the downsides? 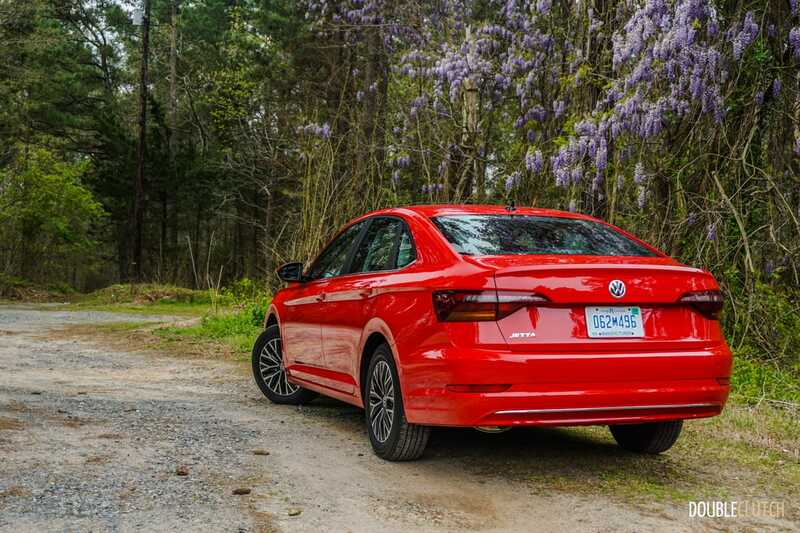 There are a couple of things that disappointed us a little bit about this new Jetta; the first being trunk hinges that impede massively on usable trunk space. 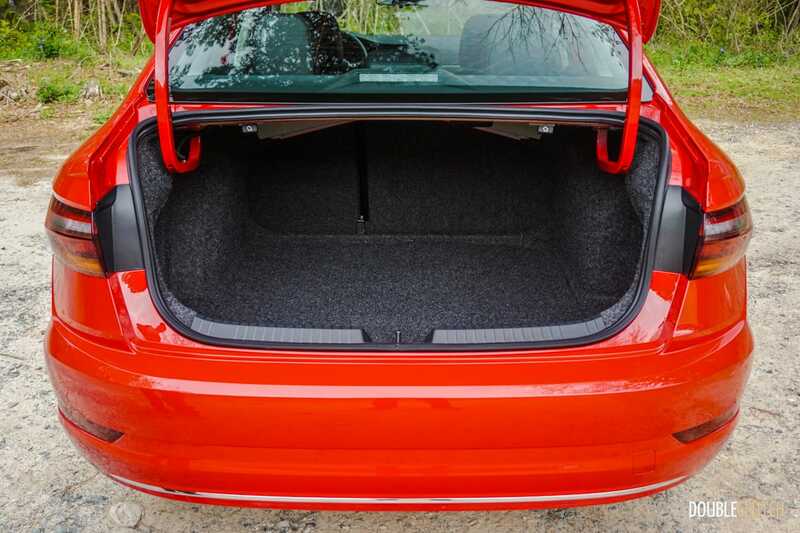 The 60/40 split folding rear seats help a little bit with this, but some hydraulic struts or smaller hinges would go a long way. Also, our test vehicle exhibited significant wind noise at highway speeds. 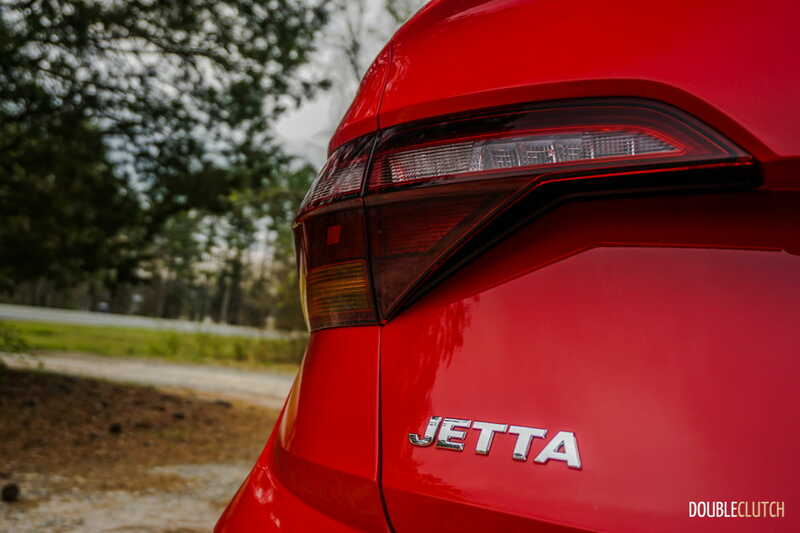 The Mazda3 (reviewed here) is a bit on the loud side, and the Jetta is quite similar in this regard. 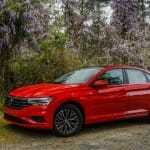 Major rivals for the new Jetta include the Honda Civic (reviewed here), Mazda3, Hyundai Elantra and Toyota Corolla. All of these vehicles are incredibly competent in their own respective ways. 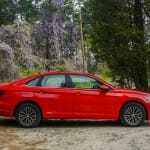 The Elantra and Jetta ride the best, while the Civic and Mazda3 remain the most fun to drive. At the end of the day, the 2019 Volkswagen Jetta provides an almost premium feel for a very affordable price, bringing a perennial favourite right back near the top of the compact sedan segment.